Maka does Soul and jazz music, two genres with roots as deep as anyone can imagine. However, lengthy, three-chord jams backed by jazz players don’t often become radio hits, and the 26 year old is anything but unaware of this. Creating music that’ll connect to the kind of fandom she envisions requires that she writes her music in the simplest and most relatable way possible. “I like to sing about real things, mine or other people’s experiences. I sing the way I know how, my voice is uniquely mine, so I think that whoever listens to my work would feel the sincerity in the music and relate immediately”, she tells me while we discuss her new single, “Daddy’s Letter”. Maka is what you would call a singer’s singer. Her ‘CTRL+M’ EP bleeds sentiments as she reinterprets SZA’s ‘CTRL’ masterfully with her detailed lyrics giving the sleek ballads a lived-in presence. You’d think she was right there, catching you up on the juicy gist of her love life and dishing out some friendly advice when listening to the project. She brings me up to speed on her most recent collaborations, ‘Femme’, an all female collaboration with Tems, Jazzz Atta, Deborah Prest and Asikey, slated to be released on the 9th of December. ‘Femme’ is an inspired project coming at a time when the smurfette syndrome seems to be going around the music business. You know, the one token female star that’s swept up and thrown into world billed as ‘the next big thing’, barely afforded room to establish themselves or grow only to inevitably fade into obscurity. With collaborations like this one, women in the music industry can build a thriving community for themselves to up their chance of becoming the biggest stars. Perhaps, this shift from the pretty face in the boys club is what it takes to make the industry less gender bias. Music has always coursed through Maka’s veins. She has been exposed to music since she was about 6, given a chance to give solo performances by her church choir. 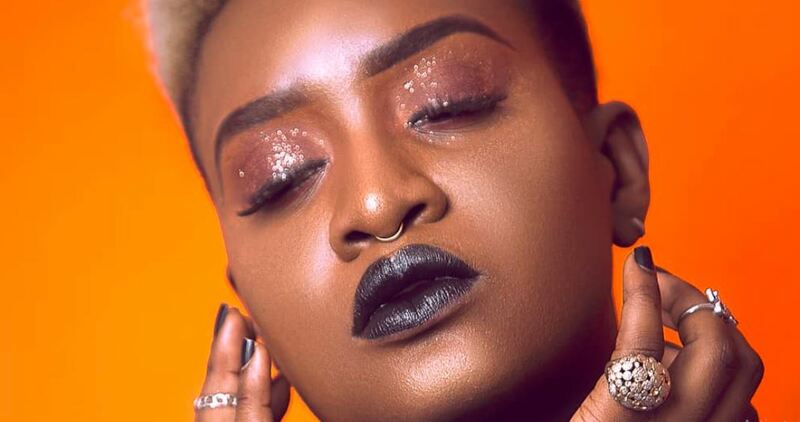 Her professional career has however taken off since and she’s put out a slew of singles and covers, collaborating with several acts and even headlined solo concerts in Lagos and Abuja. Asides her own music, she has also made theme music for a web series and the movie “Dinner” and has shared stages with Asa, Simi, Bez and a host of others. 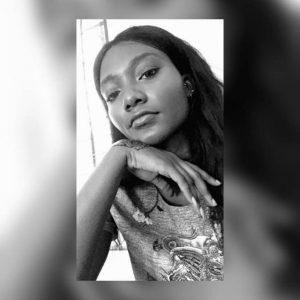 Despite all of her accomplishments, Maka’s music has remained obscure, existing in the fringes of soon to be discovered playlists on Soundcloud. To help boost visibility, the singer has looked to performing live music, starting a bi-monthly pop up show, “Maka – After dark”. And though the feedback from the pop-up show has been positive, Maka’s dream is to dominate the global stage. The world is Maka’s oyster and she knows it; “I wanna sing EVERYWHERE. I want to be able to execute every single creative thought that crosses my mind. “Maka After Dark” grows with each edition. My music’s reach also grows internationally every time. I honestly don’t think I am that far off from where I want to be. I just gotta keep on moving”, she asserts and I immediately find myself hoping that Maka’s ascent to global acclaim will be propelled by her blissful poise, untainted by the pop machine and the expectations it holds for young women. Maka’s drive to reach her dreams is so pronounced, one might assume it’s all she obsesses over. But after hearing the vulnerable sentiments she expressing on her songs, her confessional lyrics provide context for her strong faith in herself. Her latest single, “Daddy’s Letter”, for instance, is a tribute to her late dad who she tells me was unafraid of pursuing his dreams. Today marks the 20th anniversary of the death of the man whose sense of adventure made him into an ultimate trifecta: a lawyer, an engineer and accountant. A man who loved to laugh and travel the world as much as he could and left an amazing account of his life for his young daughter to hear and tell. “I guess the song is really more of a goodbye note from my dad since he never got to say it”, the singer discloses. The closure she seeks on “Daddy’s Letter” is long due as she reminisces over the somber beat Big Foot produces. The song is a reminder to appreciate the good people around us, create memories and cherish the moments shared with all the people we love. The single also comes with a cute animated video which Maka created by herself, showing her willingness to go the extra length to get her message and her music across to more audiences with varying interest. You can stream “Daddy’s Letter” below.